1793 – In 1793 British troops were landed and the French commissioners in desperation declared the slaves emancipated. This at once won back Toussaint from the Spaniards. He became supreme in the north, while Rigaud, leader of the mulattoes, held the south and the west. By 1798 the British, having lost most of their forces by yellow fever, surrendered Mole St.Nicholas to Toussaint and departed. 1798 – On October 1, 1798, Toussaint entered Mole St. Nicholas as conqueror. The white troops saluted him. He was dined in the public square, on a silver service which afterwards was presented to him in the name of the King of England. A treaty was signed by which the English gave up the island, recognized Haiti as independent, and entered into a commercial agreement. They then tried secretly to induce Toussaint to declare himself king, but he refused. 1842 – In 1842 a big earthquake hit the north of Haiti. Between the shaking and the tsunami (5 meters high), the event destoyed most of Cap Haitien, PdPaix, St. Louis du Nord, and Mole St. Nicolas. The fault line is in the deep chanel between PdP and LaTortue. 1913 – In June 1913, The German government was interested in obtaining a naval base in the harbor of the Mole St. Nicholas. He wrote Wilson that the United States should press the Haitian government into selling the Mole St . Nicholas to the United States. The Windward Passage is another name for Mole Saint Nicolas as it is well known for strong winds. However the beautiful bay of Mole St. Nicolas is well protected and continues to be used as refuge for barges, merchant ships, yachts, and ferries passing by in hurricane times. Besides the bay, the powdery white beaches are alluring and are said to possess medicinal values. The waters in some areas run deep. There are many fishing spots and coral reefs create a real paradise for anglers and divers and snorkelers . The history of the town is very rich with artifacts and vestiges of the old city quarter filling up a large amount of the geographical space in the city. In the morning of December 6, 1492, Christopher Columbus called the area “Maravillosa”: Translated in English it suggested that the place was marvelously wonderful. Most of the area in the old town was considered to be a tropical paradise with 85% of the area being wooded. Remnants of ancient colonial forts are scattered almost everywhere; in Batteries de Vallières, Fort George, St. Charles, La Poudrière, Le Fort Allemand and Les Ramparts, etc. 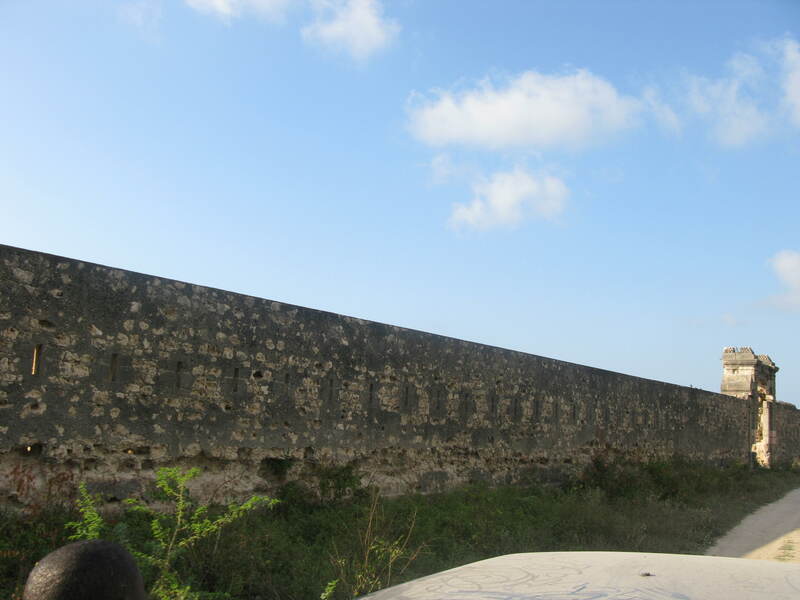 With its breath taking panorama and historic forts, the local environment and the infrastructure are in need of a great repair but the shambolic existence of the roads hardly wounds or covers the historicity of the place.